This stone row just south of Laughter Tor is a pretty tricky one to find. 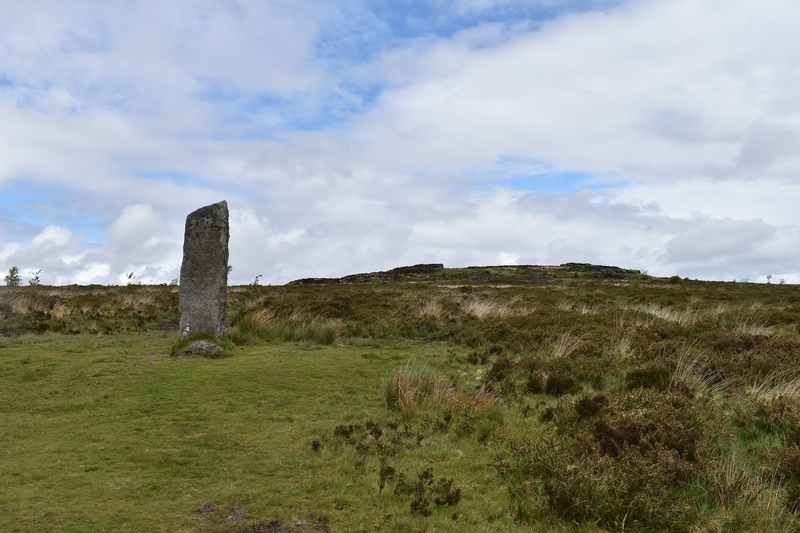 The menhir (8th tallest on Dartmoor) is better known as the Laughter Man and this stands at the northern edge of the row. Most of the stone row is now hidden by gorse and long grass. 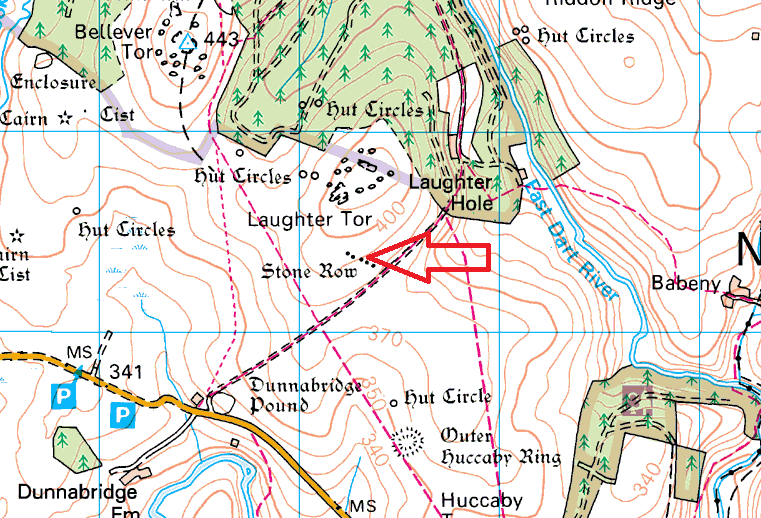 Its an easy to get to place with the main path from Laughter Hole nearby as well as paths from Dunnabridge Pound and Laughter Tor itself.